Product: Melamine Folding Tables - Correll Cf3060M 5-ft. Tables. 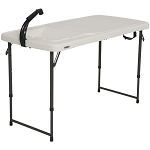 Free shipping for this Correll folding table when shipped to the lower 48 United States. 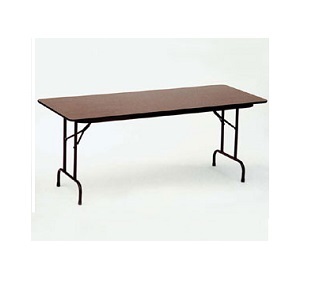 Correll melamine folding tables have a strong table top to support heavier weights. A five foot table typically has space to seat 4 adults. This table works great as a banquet table or activity table. 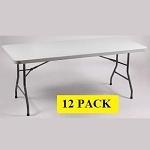 Melamine Folding Tables are Heavier than plastic folding tables. Q: How many does this table seat? A: This can seat four adults very comfortably or six children. Shipping on In Stock Items: Orders for the Correll CF3060M generally leave the warehouse within 1-2 business days. Dimensions: 61" x 31" x 4"